I’m very excited for MICF – Melbourne International Comedy Festival starting in just 10 days and to see one of my favourite shows again!!! With a difference. 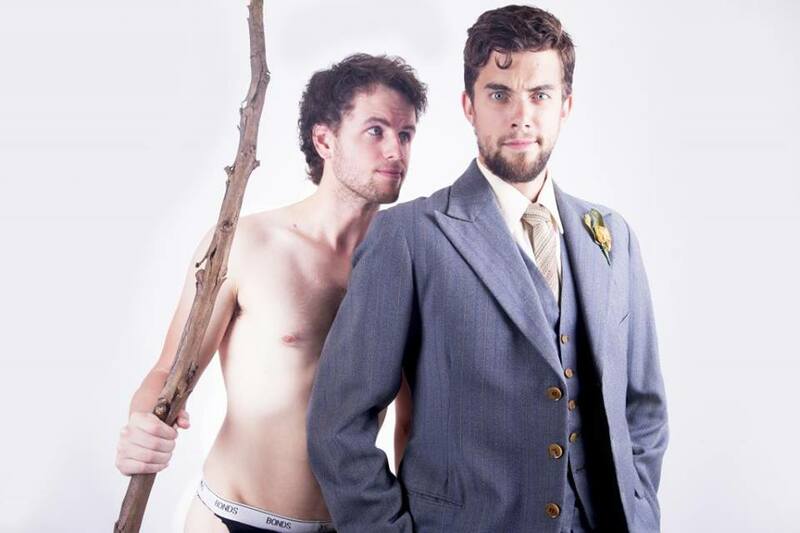 Last year I loved “A Sunburnt History: The First Fleet” and it stood out as one of my Top 5 shows of the fest and it’s back with a difference. This year it’s called “Citizenship and I cannot wait to see what’s in store! 50,000 years ago the first immigrants arrived on Australian shores, they also happened to be the first Australians. Following a solid 49,774 year hiatus, there’s been a steady influx of migrants from all around the world. Looking at Queensland’s slavery, the Mabo Decision, and the biggest gaffe of all, The White Australia policy, we find out what it really means to be an Australian. As with Previous incarnations, audiences can expect a fast-paced, entertaining, funny and informative tale that will analyse how all of our differences actually bring us closer together. Be constantly surprised and intrigued by Australia’s Complicated and unique approach to immigration. 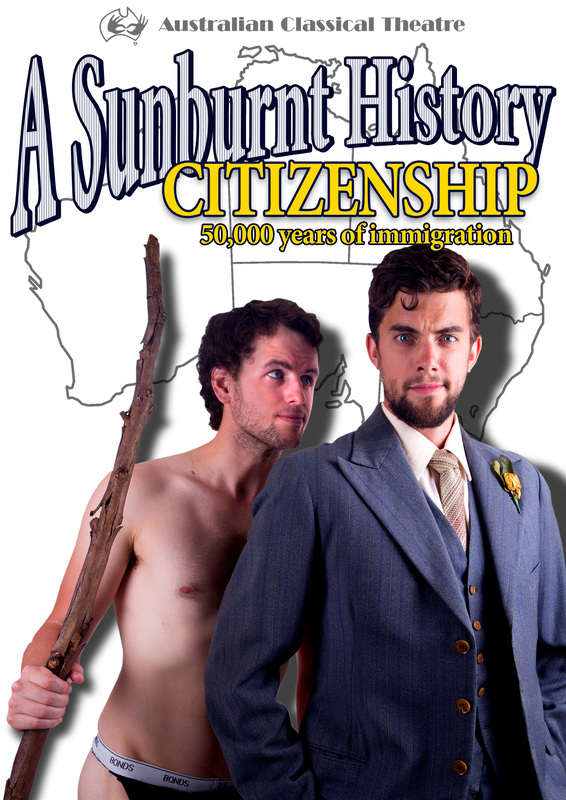 A Sunburnt History is getting back to doing what it does best, busting myths and shaking Aussie history ‘til the truth falls out. I want to share a unique and special moment from my Cambodia trip when we visited Phnom Penh. Pictured here with me is BOU MENG. Bou Meng was a prisoner at S21 during the Khmer Rouge regime. He was just one of 7 to survive improsenment. Today, Bou Meng, aged 83, sits at the site of the prison which is now the Genocide Museum. He revisits a place where he was tortured, his wife was executed and he was held prisoner. He sells this book about his life to share his story with the world.I couldn’t walk past this man and I purchased the book, he welcomed me to sit with him and have a photo. I had begun to cry and was wearing my sunglasses – I didn’t want to take the photo but could not disrespect this brave and gentle man. 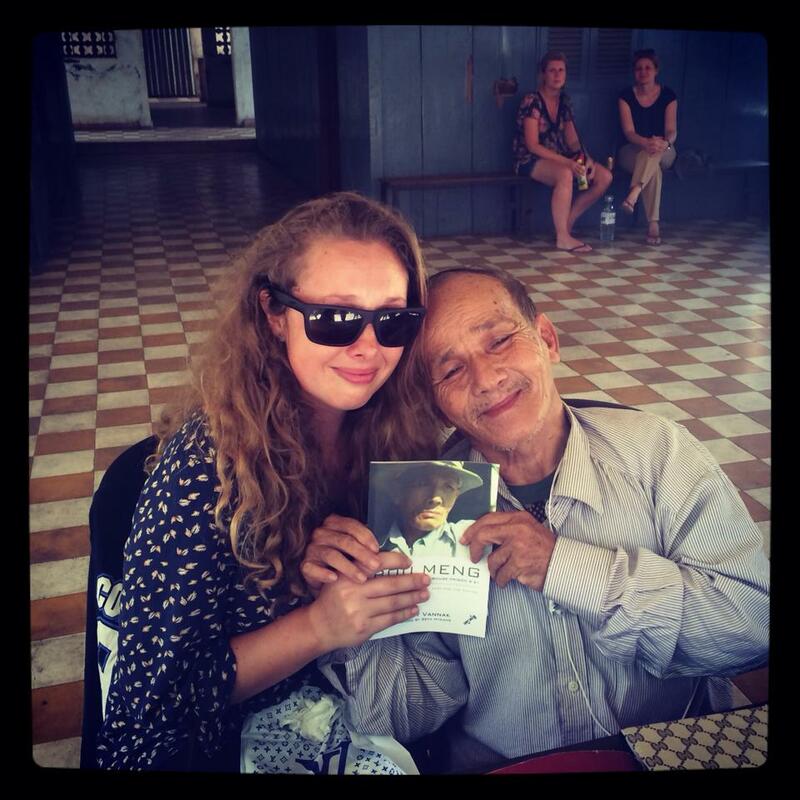 I sat beside him and we bowed to one another as I said “akun” (Khmer for thank you). I tried not to cry and to put on a smile for the photo, and for him. We turned again to one another and I could only mutter “thank you. Akun. Akun” as he held my hands in his. I was sobbing by now. He reached for a drawer on his desk and pulled out a box Of tissues. I let out a laugh and cried even more! He was consoling me in the place where he had suffered so much. He held my hands and we just took a moment together. My friends watched on and said he too shed a few tears as we sat together. This man has suffered atrocities and traumas that none of us can ever imagine, yet he sits here and shows love and compassion to others. He’s spreading the word of what happened and sharing his story. I will never forget his sweet smiling face, his kind manner and his courage! Cambodia is an incredible place, through all their difficulties, it’s people like BOU MENG who carry on and persevere that they continue. It’s amazing. Thank you Bou Meng. Akun. Thank you. Packing up my life today has been an enlightening experience. I’m quite disgusted at the amount of items I have accumulated over 3 years and the amount of “baggage” I have. I make this vow- I will not buy any new items of clothing, accessories or shoe wear until 2015. I ask that anyone wishing to give me gifts this year opts to make a donation for incredible charities such as World Vision Australia or Black Dog Institute. I have a big goal I’m saving towards and would rather invest in the only thing that will make me richer, Travel. Please friends – hold me to this vow, I feel passionately about it and look forward to carrying less baggage in the future. This picture was taken in 2008, Arusha, Tanzania. Visiting my Sponsor Child with World Vision Australia – The best day of my life by far, and has given me a new perspective forever! I will always think of him as aim to live more minimally and focus on the important aspects in life. Amazing adventures in Cambodia – check out this great video from David on the trip!! A non cycling day today saw the first half of our day enjoying a tour of the markets and then a Cambodian Cooking Class where we cooked our own three course lunch!